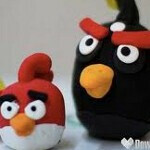 About two weeks ago, we reported how Angry Birds Magic was bringing location gaming to the world of mobile video games. 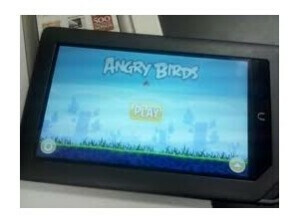 Now, we can tell you that the first mobile device to get the game is the (drum roll, please) Barnes and Noble Nook Color. Why that seems like a surprising choice for Rovio, Barnes and Noble worked out a deal that enables those playing the game over the bookstores Wi-Fi network to receive the "Mighty Eagle" bird for free. This super bird can destroy everything on the screen. In return, Barnes and Noble will open up some room in its stores for Angry Birds merchandise including free stickers and paste-on tattoos. The latest Angry Birds game looks to match up NFC-enabled mobile devices or uses a GPS signal to unlock certain levels and content based on your location. The unlocked content is supposed to relate to your location, such as showing a beach-related backdrop while you are at the beach. The Barnes and Noble Nook Color is powered by Android, and as we told you, even has a rough web browser on board. Priced at $249, the device offers a color display and will even download apps and send and receive email besides letting you read eBooks. That is, when you're not playing Angry Birds Magic.